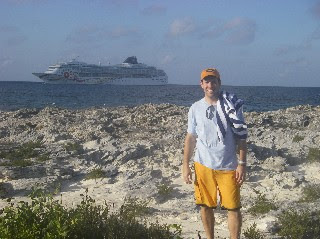 Imagine a private beach in the Bahamas….and then put 2000 people on it! The last hour before our boat left was peacful, though! Dale, Am, An (below! ), D, Da, and M snorkled. Notice, no Laura in that list. I just can’t do underwater. Everyone had fun while I babysat the bags and clothes. 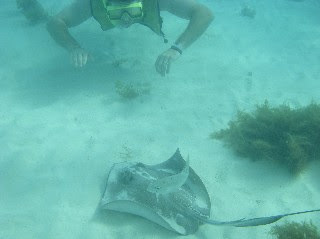 Again, thank goodness for my underwater camera. 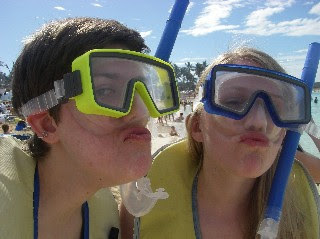 They got tons of cool snorkling pics. 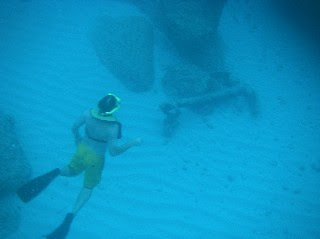 That’s Dale with an old anchor. 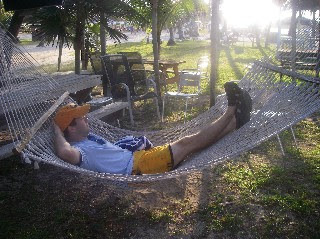 They saw a few rays, a baracuda, and lots of colorful fish.